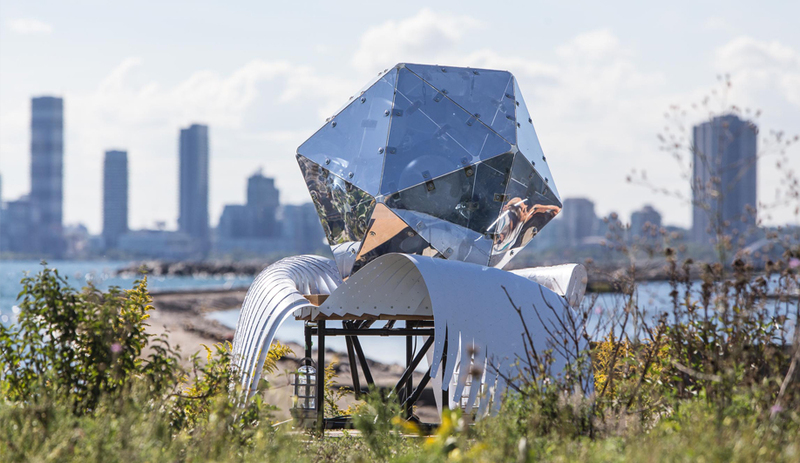 Ontario Place, a once-futuristic waterfront playground operated in Toronto from 1971-2011, reopens for In/Future, a cultural festival filled with playful art installations. 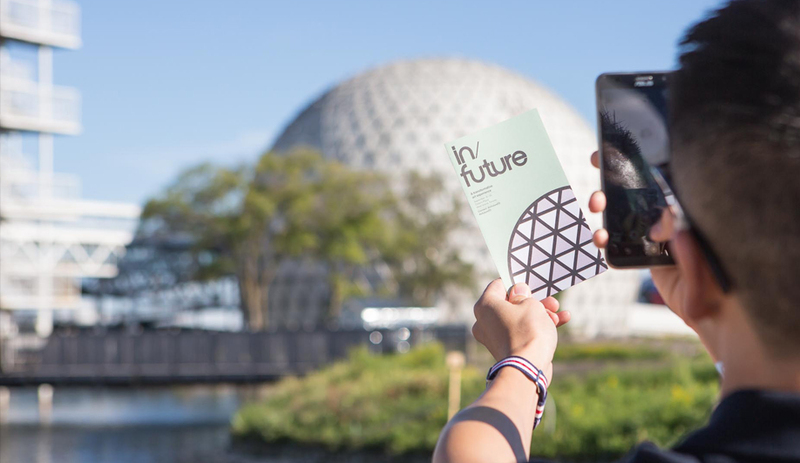 At first glance, the biggest draw behind Toronto’s In/Future arts festival may be its curious setting: Ontario Place. Shuttered since 2012, the science centre and waterpark has the same eerie appeal as Spreepark, the abandoned Berlin amusement park popularized in the movie Hanna. As that film demonstrated, there’s something deeply haunting about seeing cheerful childhood attractions in a state of decay. But rather than just inviting visitors to gawk at the peeling paint and retro signage found throughout downtown Toronto’s own now-defunct utopian wonderland, In/Future is using Ontario Place’s waterfront grounds as the backdrop for a bevy of vibrant, site-specific art installations and performances. The eclectic works bring fresh energy to the complex, making for an experience that’s more about highlighting its current potential than reveling in nostalgia for its past. Many of the best pieces on display reflect thoughtfully on the theme park’s history and identity. Max Dean’s Still, for example, imagines the lives that the animatronic characters from the park’s Wilderness Adventure ride have led in the years since the facility closed. Mannequins stand in vignette, positioned like surgeons repairing a damaged moose from the Canadiana-themed log ride – commentary on the park’s attempts to represent nature using artificial stand-ins. 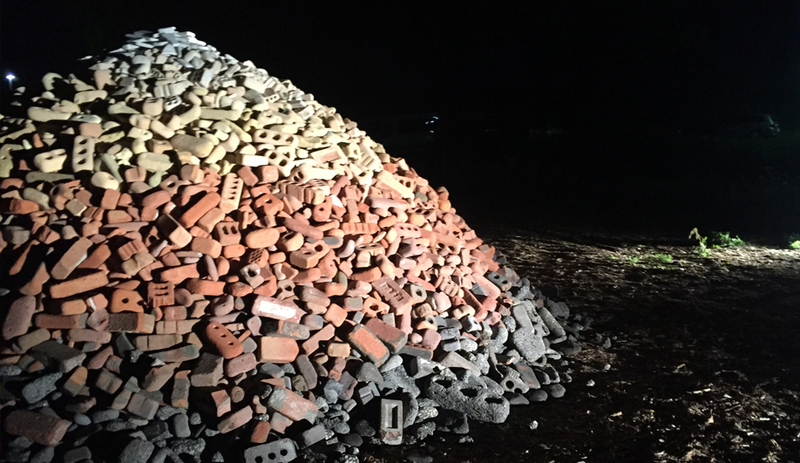 Another standout, Ben Watt-Meyer’s Rubble Pile, builds upon an installation that the landscape designer first debuted at the Gladstone Hotel’s Grow Op exhibition in 2015. Weathered bricks scavenged from the Leslie Street Spit in Toronto’s east end are sorted by colour into a giant mound – a nod to how both that peninsula and the islands on which Ontario Place is built are manufactured land masses. Other works make dramatic use of the park’s unique architecture, originally designed by architect Eb Zeidler. 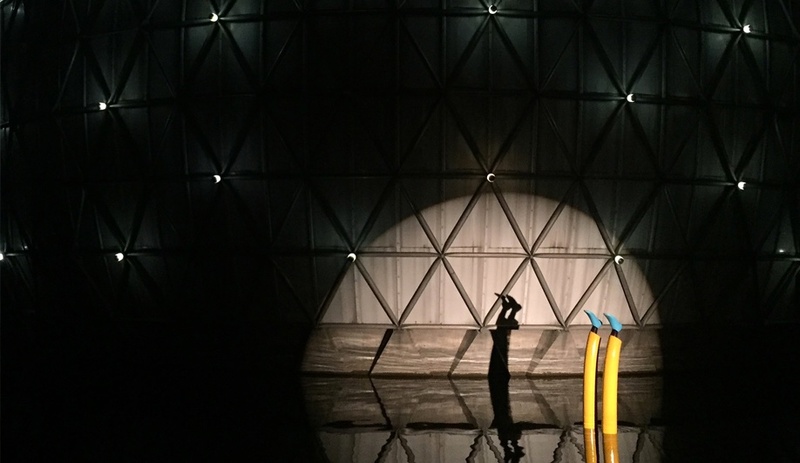 Those who first visited Ontario Place’s seven silo-like buildings – a mid-80s addition – to watch weather demonstrations during educational elementary school field trips will now find one of the soaring concrete spaces home to Gareth Lichty’s Warp. Orange, red and yellow ribbons hang from oversized marionette paddles on the ceiling, emphasizing the room’s grand scale. Elsewhere, a plastic coyote rides a miniature roller coaster in constant pursuit of a stuffed rabbit, and a pair of cartoonish legs rise out of Lake Ontario. 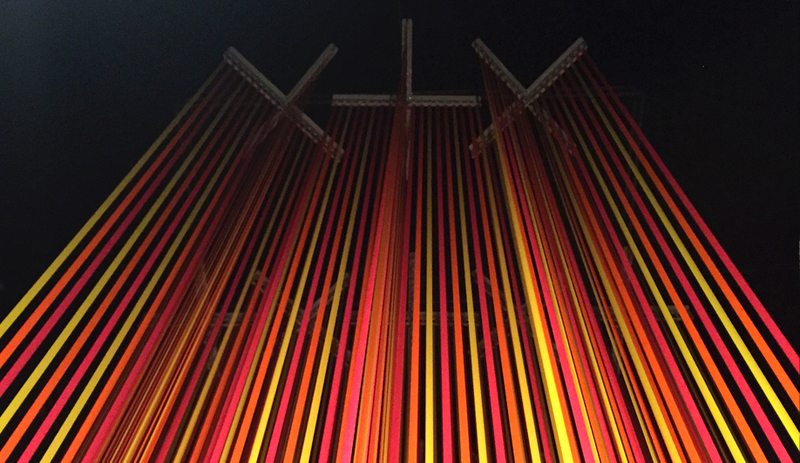 The festival’s playful programming, which includes more than 60 installations, is the brainchild of Art Spin. The Toronto collective typically works with local artists to transform disused, off-the-beaten-path venues for one-night-only installations that participants tour by bike. In/Future’s cheekily curated mix of artwork is complemented by an outdoor concert series put on by Small World Music Canada. Meanwhile, Ontario Place’s crowning jewel, the Cinesphere – a geodesic dome that houses the world’s first permanent IMAX theatre – plays host each night to a selection of short films that includes North of Superior, a tour of the Northern Ontario landscape that premiered at Ontario Place in 1971 as the very first official IMAX film. In/Future runs until September 25. Single day passes are $30.